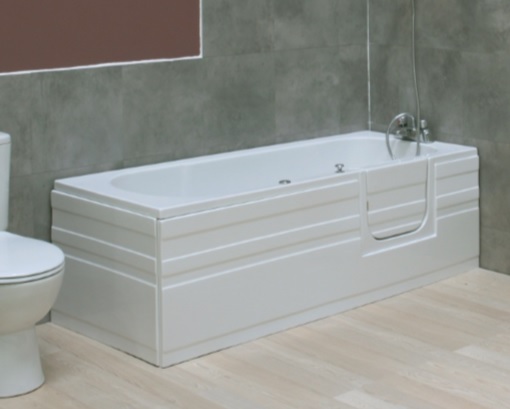 A simple yet stylish solution for those having problems entering a standard bath. 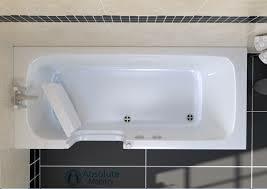 The Sceptre bath is unique in that it provides a squarer shape within, and two waste outlets – one in the middle and one at the far end from the door. 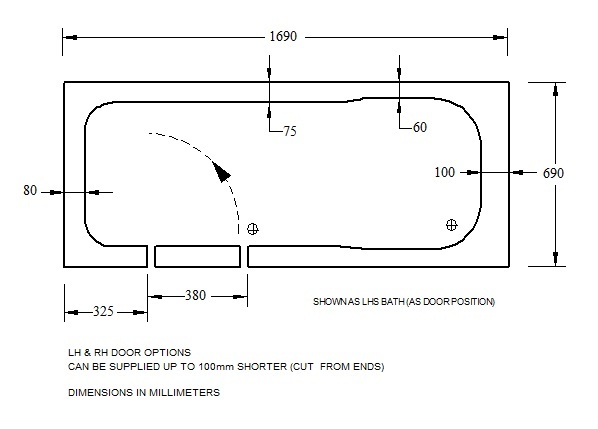 This means that it can be used with the bath taps at the door end, but you can stand to shower at the far end. 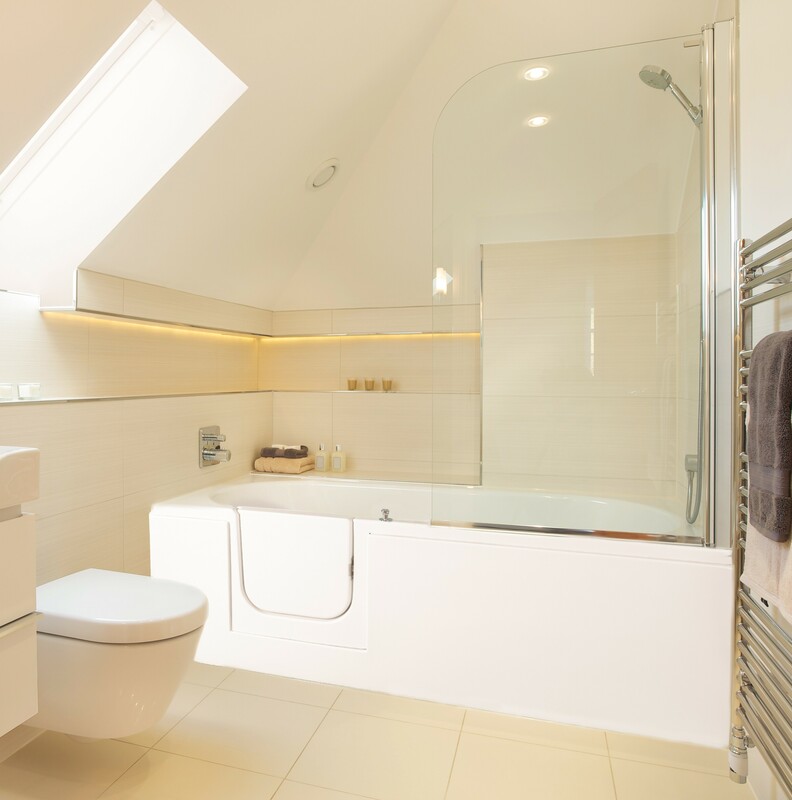 The generous low level access door affords easy access, avoiding stepping over the bath side. A simple “slam shut” latch ensures a watertight seal. 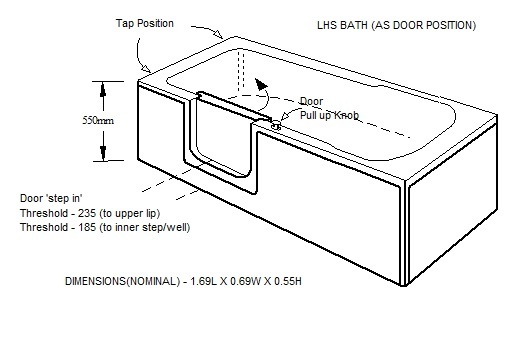 The release knob is pulled up to release the door, avoiding accidental operation when the bath is full. Twin wastes ensure rapid emptying, and are also a safety feature. 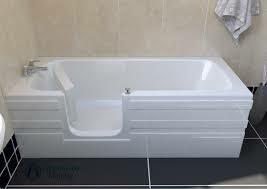 If one should fail or block, the second will permit emptying of the bath. 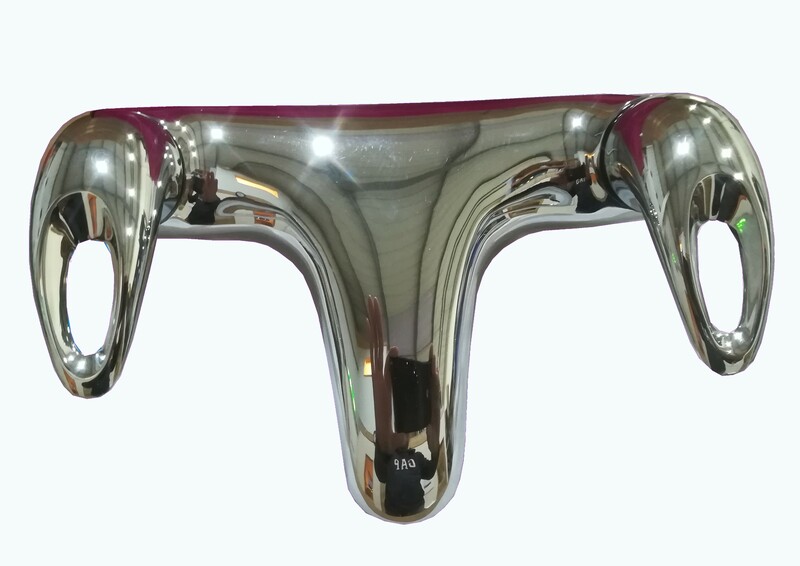 Designed and manufactured by hand in the UK, the Sceptre is a well proven design which has been in production for many years – so you can be assured of excellent quality and support. 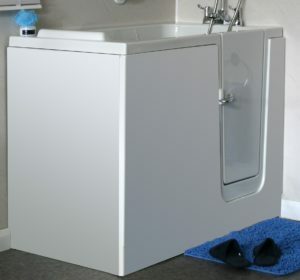 To enhance your bathing experience, why not consider the addition of a factory fitted air spa? 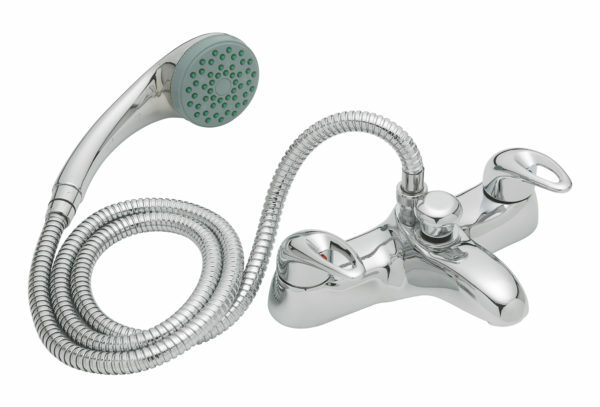 The warm air jets will aerate the water and stimulate your skin. 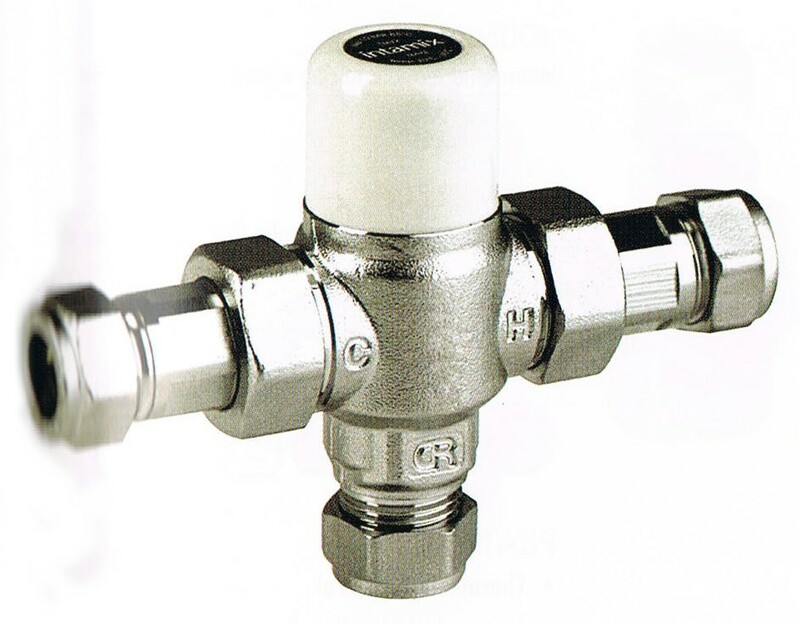 The system self purges, so requires virtually no maintenance. 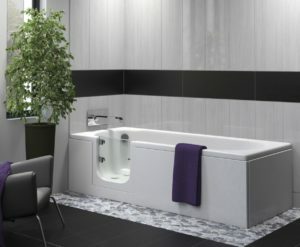 Once you’ve enjoyed a spa bath, you’ll never want a bath without one! And to create the perfect mood, why not add factory fitted chomotherapy lighting. The seven colours can promote peace and tranquility through to stimulation and refreshment! Sceptre bath with easy access door – for bathing or showering! 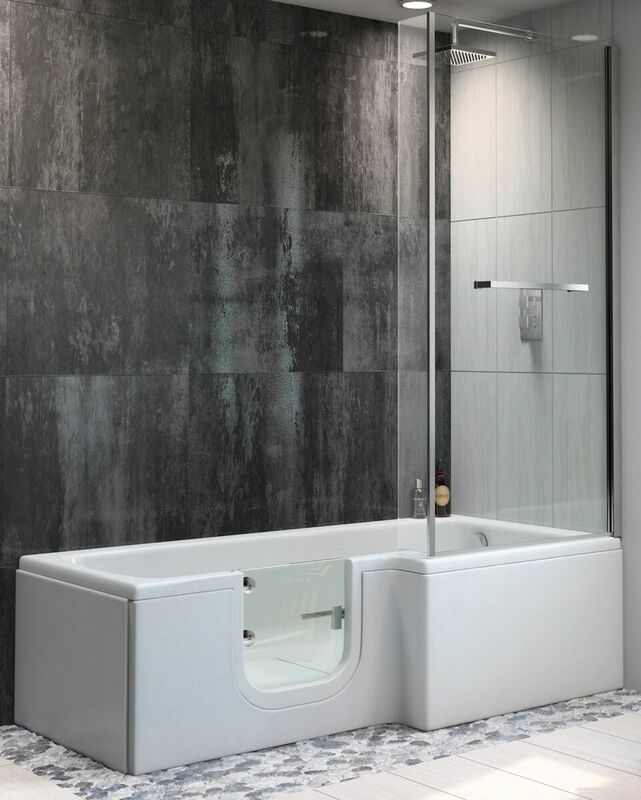 A standard size bath with stylish inward opening glass door for easy access. 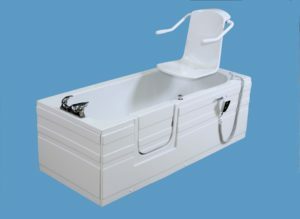 A walk in bath with a power lifting seat with arms and back – ideal for those requiring support whilst bathing. Stylish design features inward opening glass door and matching glass shower screen. A mid sized walk in bath with an inward opening white door and external locking lever.